One year ago today, April 22, 2015, my Dad, Thomas Michael Perna Sr., passed away due to complications with Crohn’s Disease, which he endured for many years. It was the hardest day of my life as well as one of the hardest years for my entire family. I wouldn’t wish the pain, the nights feeling alone, and the nights struggling to sleep (like right now…it’s in the 2am hour and I am awake) on my worst enemy. Maybe it’s coming across that I am contradicting myself when I say I try to endure suffering, but wish the pain wasn’t there. This is something contradictory about death since we are made for life. It’s hard to write and explain what the last year has been like unless you have also endured this type of loss yourself. For someone who talks about life and death on a daily basis, this year has challenged me in ways that I never thought were possible. Although I miss my Dad immensely and not a day goes by that I don’t wish I had just more day with him, he has provided me so much to teach others with – either through this blog or in my position at the parish. 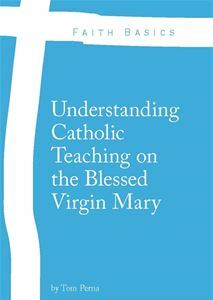 It was always his desire that I would be able to do the things I am doing in my writing and in my position as a catechist and evangelist in the parish. The eulogy I gave at the vigil and viewing last year was just the beginning of what Dad gave me with his exodus from this side of Heaven. So as we do with all those that go before us – we pray for them and ask them to pray for us. We offer Masses for them in the hopes that our prayers will bring them to Heaven as well as ask them to intercede for us when we need prayers. It’s my hope that Dad is in Heaven or at least making his way to Heaven. In the end, we all will endure this thing we call death. Let us hope that through Jesus’ Resurrection, we will come to know and see our resurrection in the life to come. For a complete understanding of this topic, I would encourage you to also read paragraphs 988-1014, especially the paragraphs that speak about The meaning of Christian death. On this day, I ask for prayers for the repose of the soul of my Dad, Thomas M. Perna, Sr. Thank you. All Glory, Praise, and Thanksgiving to Jesus Christ Our Lord. Amen. Said a little prayer for your dad, for you and your family as well. Thank you for openly sharing about your suffering over your father’s death. I added Monsignor’s quote to my list of “helpful tidbits”. I stopped by the office today after adoration, to say hello, but you were not in. I am trying to get to adoration or Mass everyday during my maternity leave, so hopefully I will run into you. You and your father are in my prayers today.